Serena Williams will not be allowed to wear her “Black Panther’ inspired catsuit in the French Open in the future. Check this out; French Tennis Federation President Bernard Giudicelli is making it clear that Williams is welcome… but the outfit isn’t. He told the Associated Press: “It will no longer be accepted. One must respect the game and place.” WHAT!!!! Giudicelli also said the tournament will be regulating the players’ dress code in a more stringent manner, though not as strictly as Wimbledon. “I think that sometimes we’ve gone too far,” he added. The nerve!!!! The 23 time Grand Slam Champion returned to Grand Slam tennis after giving birth to her daughter, Alexis, Serena said she felt like a warrior in the specially designed Nike body suit. 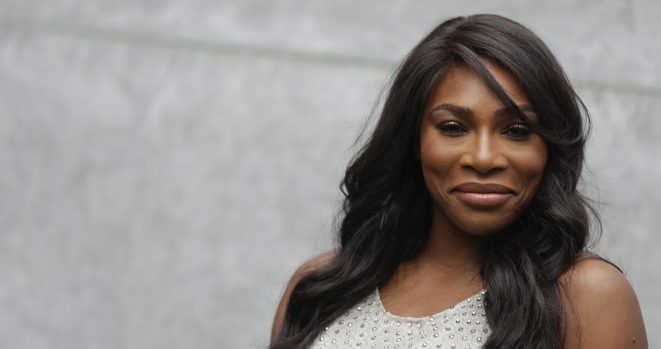 Serena experienced complications from pregnancy the tennis champ has dealing with blood clots and the custom designed bodysuit that addressed that issue. I think they can’t handle all that greatest wrapped up in a superhero outfit.